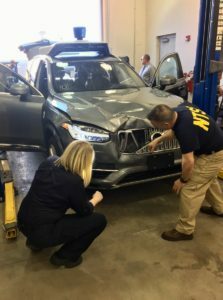 The San Francisco Chronicle has reported that Tempe, Ariz., police Chief Sylvia Moir said video evidence suggests even a human driver might have been unable to stop the fatal collision between an autonomous Uber and a pedestrian. The National Transportation Safety Board was investigating the incident. Another development: An Arizona Republic-Associated Press story reports that the Uber backup driver, Rafaela Vasquez, 44, served nearly four years in prison for felony attempted armed robbery of a Blockbuster Video deposit in a 2000 incident and misdemeanor unsworn falsification at an unspecified date. Uber has a policy of offering second chances to former convicts who’ve “paid their debt to society,” arguing that “Everyone deserves a fair chance.” Vasquez appears to have deserved its trust and that of a probation officer quoted in the article — she hasn’t committed a crime since being released from prison in 2005 — 13 years ago — according to the Arizona Republic-AP story. So far, this appears to be yet another example of a high-profile autonomous crash where a human — in this case, the pedestrian — was at fault. 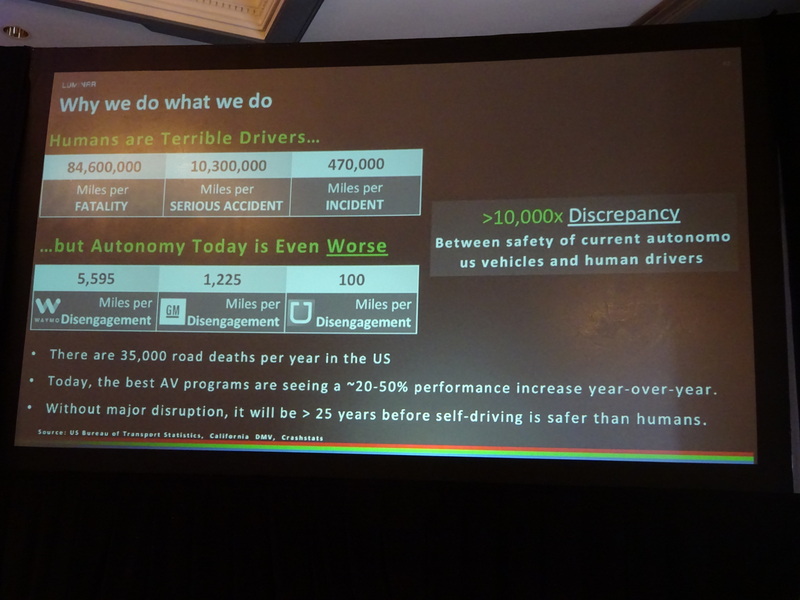 That’s another point in favor of the systems being an effective way of reducing the 94 percent of collisions attributable to human driver error — a scenario which doesn’t bode well for the collision repair industry. On the other hand, Luminar co-founder and Chief Technical Officer Jason Eichenholz pointed out during last week’s Automotive World Megatrends Detroit, that this future could be years off. Eichenholz, whose company makes LiDAR for self-driving cars, demonstrated that disengagement rates for autonomous vehicles being tested — a measure of every time the computer can’t handle a situation and hands off to the backup driver or the backup driver felt he or she needed to take over — are higher than crash rates of normal cars. We’d also direct repairers to the involvement of the NTSB. Should a private passenger vehicle operating in autonomous mode crash, such as a Cadillac CT6 in “Super Cruise” or an Audi A8 with similar hands-off-the-wheel autonomy, it’s possible that these officials — who dig deep when they investigate something — will examine whether the correct repair and recalibration occurred. This process will not be a comfortable one for a shop who failed to follow OEM repair procedures. Investigators examined the major mechanical systems on the car, which included the powertrain, steering, braking, and suspension systems. They identified no anomalies within the major vehicle systems. The Tesla was equipped with electric power-assisted rack-and-pinion steering gear; all the steering arm linkages remained intact and connected. It was possible to rotate the steering gear from stop to stop by turning the steering wheel. All ball joint connections remained intact and showed no evidence of excessive wear or play. The vehicle was equipped with two independent suspension systems. On the front steering axle, the mounting bolt for the forward lower control arm ball joint was broken at the steering knuckle in a manner consistent with impact damage. Investigators noted no other damage to the suspension system, including to the suspension components of the rear axle. The crash-involved Tesla’s last trip began at 3:55:23 p.m. The car was stopped or nearly stopped about 4:19 p.m. and again about 4:30 p.m. The collision with the truck occurred at 4:36:12.7, as indicated by fault codes and system disruptions.